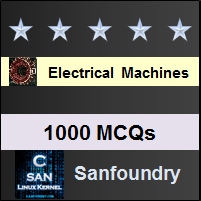 This set of Electrical Machines Multiple Choice Questions & Answers (MCQs) focuses on “Circuit Model of DC Machines”. 1. The circuit depicting the equation V=Ea + I*Ra. Explanation: This is a motor performance equation. 2. 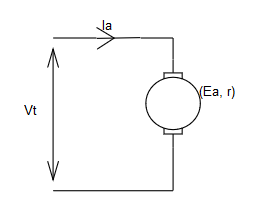 The circuit depicting the equation V=Ea – I*Ra. Explanation: This is a generator performance equation. 4. 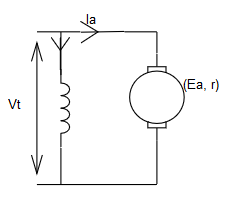 The voltage drop at brush-commutator contact is variable (1-2V) and dependent of armature current. Explanation: The voltage drop at brush-commutator contact is variable (1-2V) and independent of armature current. Explanation: The shaft power is sum of mechanical power and rotational losses. 6. 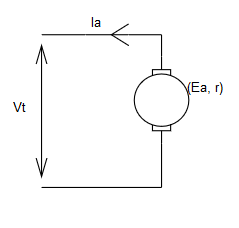 If the electromagnetic torque in a DC shunt-generator is opposite, what can be further concluded? Explanation: When the electromagnetic torque is in opposite direction, it is of motoring nature. 7. 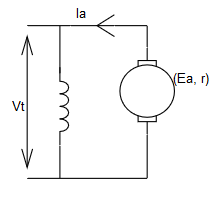 The conductor EMF and current are in _____ direction and developed torque is in _____ for generating mode. Explanation: The conductor emf and current will be in same direction and the developed torque is in opposite direction for a generator. Explanation: As the terminal voltage is lesser than armature voltage, the supply is fed to the machine and so it will be acting like a motor. Explanation: The power of the machine remains unaltered by the type of connections. 10. If the DC machine is held constant at 3000 rpm. The DC voltage is 250V. 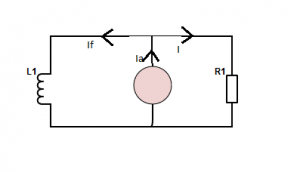 If the field is held constant with 250V. Is this machine generator or motor? This is less than the terminal voltage. Hence it is a motor.